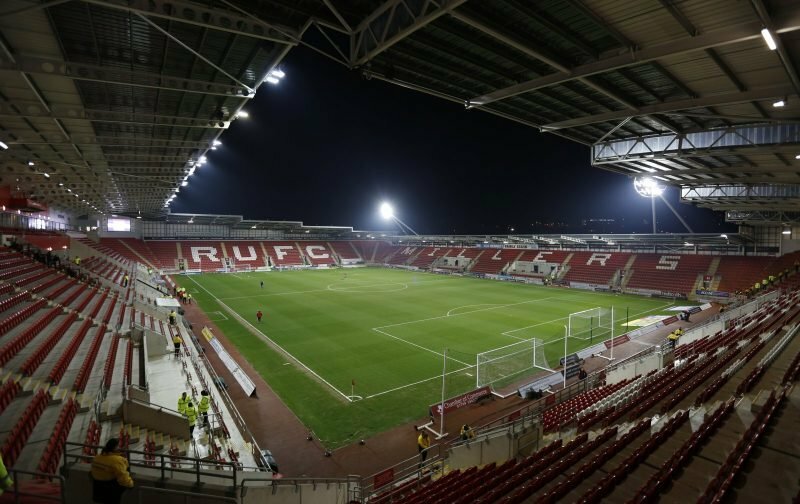 Rotherham United welcome Scunthorpe United to the New York Stadium for the second leg of the League One Play-Off. Having been at Millmoor in one guise or another since 1907, the Millers spent four years at the Don Valley Stadium before moving into the New York Stadium in 2012. The Iron’s first visit to the Millers new stadium was this season in October when goals from Will Vaulks and Kieffer Moore gave the hosts a two-nil win. Bookings on the day went to Michael Ihiekwe and Ryan Williams for Rotherham and Scunthorpe’s Conor Townsend. Scunthorpe did play at Rotherham’s temporary home, Don Valley, in a Football League Trophy game. Already two up from the home leg a goal on seventy-four minutes from Gary Hooper gave the Iron a one-nil win on the night. After Saturday’s game at Glanford Park finished two-two – goal from Jon Taylor and Joe Newell for the Millers and an og and Cameron McGeehan for the hosts – Wednesday nights game has to see a result, hopefully in full-time but if it’s all square after ninety minutes we go into extra time, if it’s all square after that it’s to the dreaded penalties. The Millers have scored twice from the spot this season – the first one being in the FL Trophy when Jonson Clarke-Harris put a spot-kick away away at Bradford and the other against Doncaster at the New York Stadium which was scored by Joe Newell. Scunthorpe have had three penalties in games – Paddy Madden scored in their EFL Cup game at home to Notts County and Josh Morris has scored home and away pens this season – but The Iron have already been involved in a penalty shoot-out in that EFL Cup game against Notts County which they won six-five.